All of the FBI is just one huge “showboat”! 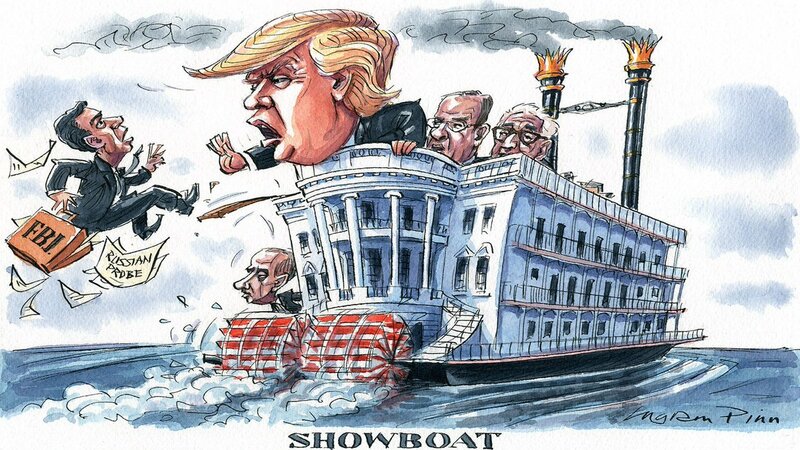 All of the FBI is just one huge “showboat”, in Trump’s words. Their first and foremost concern is to manage their own publicity and to present themselves as the “heroes” to the American public, while, in fact, they are at the roots of the problem. And they are just as slow, flashy, exhibitionistic, inefficient, outdated, and ridiculous. The FBI’s incompetent, red neck, dim-wit nincompoops are not able to protect the country. Introduce the legislation forbidding the FBI to manage their own publicity and to engage in self-promotion, self-advertising, and self-entertainment. They just have to do their job and to do it well and properly. We do not need “heroes” for this, or more correctly, the psychopaths in heroes’ clothes, of whom there are plenty, among both the agents and their “darling” informants, who manipulate the Bureau any which way they wish. This is “a first step if the FBI is to be transformed into the first-rate crime fighting organization it professes to be rather the laughingstock it has become”. It has also become a “state within the state”, an organization built on the mafia “family and brotherhood” principles and structure, and an “American KGB”, with the main difference of lacking their adversaries’ and infiltrators’ efficiency, while sharing the same skills. FBI is incompetent and inefficient, even on the home soil, unable to deal with terrorism, subversion, attacks on police and military. If you want to save America, reform FBI, and urgently! – M.N. FBI is incompetent and inefficient, even on the home soil, (not) dealing with terrorism, subversion, attacks on police and military. If you want to save America, reform FBI, and urgently! Mike Nova @mikenovFBI is incompetent and inefficient, unable to deal with terrorism, subversion, attacks on police and military. Save America. Reform FBI now! 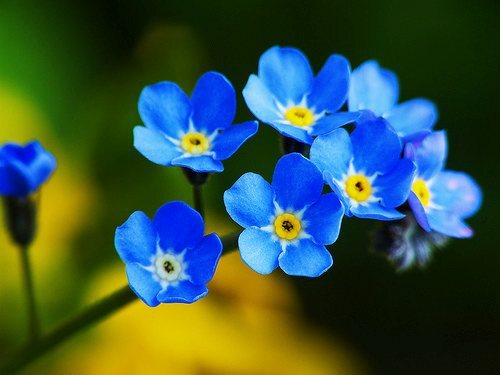 Leflore Mississippi military plane crash might be a follow-up on police officer Miosotis Familia’s assassination: “le flores” for the dead, “Missi, i ssi, i ppi”, “these are just the flowers, the berries will come” – M.N. Leflore Mississippi military plane crash might be a follow-up on police officer Miosotis Familia’s assassination: “le flores” for the dead, “Missi, i ssi, i ppi”, “these are just the flowers, the berries will come“. The recent Mosul operation, and even more likely, and more recent anti-regime Rebels’ shooting at the Syrian regime’s plane, might also be the factors. The maximum of reasonable precautions should be exercised in these uncertain times by the police and the military people, I think. Trump is the Obama’s biggest and the most important legacy. The American people will be ready to fire Trump after he completes his mission of de-Obamafication, and their rage subsides, but not earlier, methinks. Not until his mission is accomplished. Such is this strange and weird political cycle. How could the degree of American people’s rage and anger at Obama and his administration be measured? Trump’s election is a pretty good measurement, regardless of all the other factors. And it is not so much “racial” and “biased” – these are very convenient foils and defenses, these rage and anger are directed at the past administration’s lack of competence and efficiency in many matters. The lack of forceful actions in Elections 2017 Interference, for whatever reasons, is just one of them. “It’s quite clear that that was not sufficient”, Ash Carter said. These rage and anger are the real and the most important roots of the Democrats’ defeat. To be objective, the lack of experience might be a putative sin of any new administration, including Trump’s. Who ate whom for lunch, and with whom; and who did say or did not say what – seem to be our most pressing preoccupations, while Russia expands its spying network in the USA (“150 operatives” appear to be quite a charitable and modest assessment), and plans her next steps in her intelligence warwith the West. Trump or no Trump, their strategy on “a genetic level” is the same: to deceive, to steal, to dominate. This sounds familiar: tell me who is your friend, and I will tell you what your strategy is: from Roy Cohn to Trump to Putin: “Attack, attack, and attack! Lie, deceive, steal, and dominate more! And do it with a panache: the straight face, or better with some natural and sincere smile on it. D&D: Denial and Deception are the keys.” The old art of winning votes and influencing uncles. On the related subject of Trump Investigation: Felix Sater agreed to sing. It remains to be heard if his performance will impress the public, and how sufficiently. The largely ignored by the media elephant in the room, the subject of the “Red Mafia“, starts to come to light. Mr. Mueller assembled the impressive “all-star legal team“, and showed as reported, the prosecutorial leanings in his selections. Hopefully, they will work. The whole story is so epical, so much the “crime of the century”, that it is imperative to extract the pure and unadulterated truth from it. All these troubles do not deter the Rooster-In-Chief from wanting to team up with the Fox-In-Chief to guard his cyber henhouse. You might just as well hand to the Fox the keys from the Kingdom, the digital and otherwise. The joint US – Russian ““impenetrable” cybersecurity unit to combat election hacking”! What could be a better idea?! No wonder, some young and impressionable, real nice sweet ladies feel the ominous shadow of Vlad The Impaler, somewhere here. That’s what is called a “smell test”. The 9/11 events, still waiting for their definitive investigation and understanding, and their “political equivalent” – the US Presidential Elections of 2016 serve as the illustrations. The other terms are: fascism, totalitarianism, and authoritarianism. Every age must have and name its “chutzpahs”. Is Mr. Trump mad? Does it matter? There are many safeguards in the system to prevent the short circuiting due to individual insanity on the highest levels, and the additional measures at improvement are on the way. Chutzpah is not insanity, “chutzpah is chutzpah”. The big picture still is not complete. Inevitably, the next set of questions arises: what other foreign entities attempted to interfere and influence the US Elections, how, and what was the impact of these attempts? The long-term assessments, prognosis, plans, and work are needed in this direction. And, since these efforts at electoral interference are nearly universal, at least on the part of the big international players, the further questions arise: should these efforts be somehow regulated and restrained, or to be left to the province of the “free for all” Intelligence Services’ competition? It takes a lot of chutzpah to assume that you, whatever and whoever you are, can attempt to install the President of the US as your puppet or a client and can get away from this brazenness unscathed. “The primordial interest of the United States for centuries (WWI, WWII and the Cold War) has been to stop a coalition between Germany and Russia, because united they are the only force that could threaten us”, observed George Friedman, and this observation, it seems to me, retains its validity and the strategic thrust more than ever. So far, “Divide et Impera“, this “common rule of politics”, seems to be quite skillfully and successfully employed by Germany and Russia against the US, rather than the other way around. The same dynamics are evident in US – Russia – China triangular relations. This is doubly regrettable because, for Russia, it is the trans-Atlantic rather than the Continental orientation that seems to be the most viable and promising option and alternative, only if obscured by the subjectively colored, short-term goals and the shortsightedness of the current policies of Putinism.